LVTs and decorative vinyls are being favoured in sectors beyond what is considered their traditional remit ..
Due to advanced combinations of design and technology, LVTs and decorative vinyls are being favoured in sectors beyond what is considered their traditional remit, says Navjot Dhillon, Marketing Manager, Gerflor Limited. As contractors, architects, designers and specifiers are continually looking for cutting-edge floorings for projects that must impress, it is the responsibility of manufacturers to closely monitor worldwide trends and interpret them into first-class flooring solutions that couple impressive technical characteristics with innovation in design and performance. 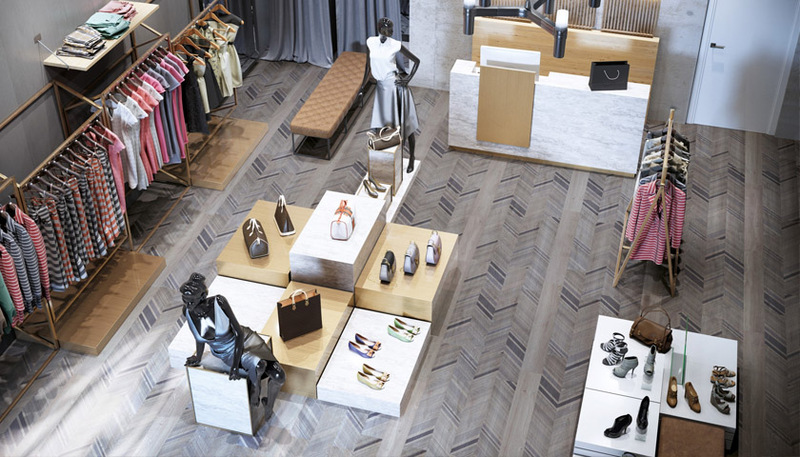 LVTs have become firm favourites in sectors like offices, retail and residential markets, whilst establishing themselves in, for example, hospitality, education and healthcare sector areas, where design-orientated yet highly functional floorings are needed. LVTS and decorative vinyls that embrace decorative trends are therefore challenging some markets to re-evaluate their aesthetic choices – perhaps to be bolder, to demonstrate innovation and dynamism, or simply to enhance interiors making them easier-on-the-eye. To find out more about LVTs by Gerflor, please click here.